| 1825 1st Avenue N.E. 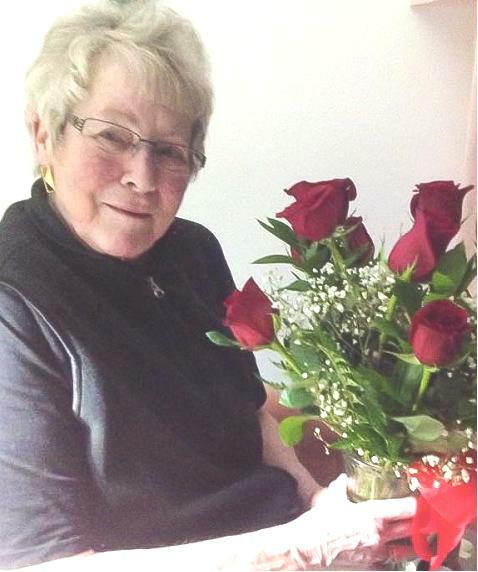 With deep sadness, we announce the passing of Heather Darling Davis, late of Weyburn, SK on March 16, 2019 at the age of 74 years. She was predeceased by her son Quinn Davis; her twin sister Helen Slater; brothers: Murray, Wayne and Michael Macara; her parents: Helen and Robert Macara; and in-laws: Tom and Donna Davis. Heather is lovingly remembered by her husband of 54 years Jack Davis, Weyburn, SK; daughter: Rhonda (Curtis) Croal, [Riley and Darby], Weyburn, SK; daughter-in-law Pam Davis (Kiersten and fiancé Austin Singer, Jessalyn Davis), Okotoks, AB; sister Patt (Bill) Smith, Kelowna, BC; sister-in-law Carolyn (Aldon) Molnar, Carstairs, AB; as well as numerous nieces, nephews and cousins. Heather was born in Balcarres, SK on April 25, 1944, resided in the Lemberg district as a farmwife and mother, later moving to Weyburn in 2014. Heather and Jack created many lasting memories with friends and neighbors through get togethers and card games. A Visitation was held Friday, March 22, 2019 at 7:00 p.m. to 9:00 p.m. from RD Family Funeral Chapel, 1825 First Avenue, Weyburn, SK. Interment was held on Saturday, March 23, 2019 at 12:30 p.m. from the Yellow Grass Cemetery, Yellow Grass, SK. A Funeral Service was held Saturday, March 23, 2019 at 2:00 p.m. from RD Family Funeral Chapel, 1825 First Avenue, Weyburn, SK with Pastor Glen Nudd officiating. Active Pallbearers were: Ronnie Wahl, Kevin Wahl, Garnie Wahl, David Wahl, Raymond Wahl and Lloyd Pethick. Luncheon followed the service at the Royal Canadian Legion, Branch #47, 150 ~ 3rd Street, Weyburn, SK. For family and friends so wishing, charitable donations in memory of Heather may be made to Calvary Next Ministry, c/o Rocky Mountain Calvary Chapel, 8241 ~ 31 Street SE, Calgary, AB, T2C 1H9.